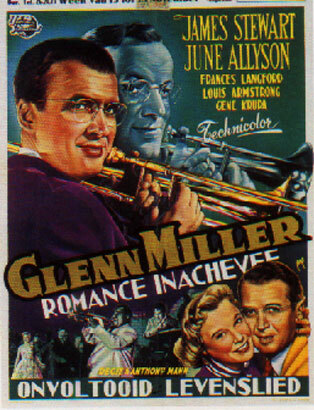 The films selected feature jazz musicians on screen. 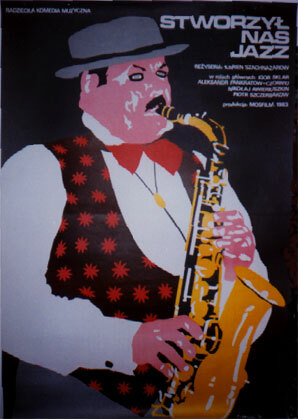 However, it does include films with notable sound tracks composed by jazzers. 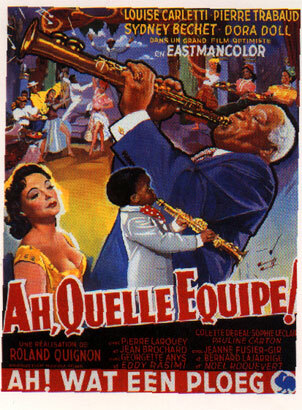 With Sidney Bechet in a lead role. 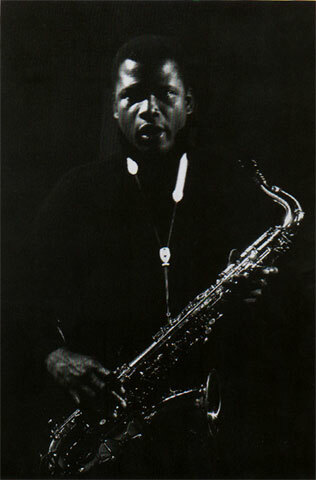 Another great sound track from Allen including Billie Holiday, Lester Young and Teddy Wilson. The film features vocalist Diana Krall on screen. 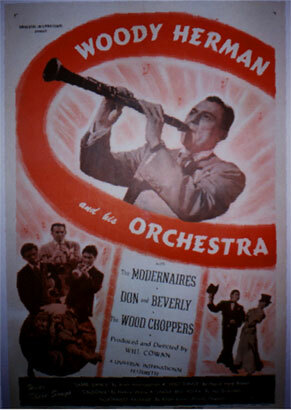 Features trumpeters Pete and Conti Candoli in marvellous night club scene with Jack Lemmon on bongos. 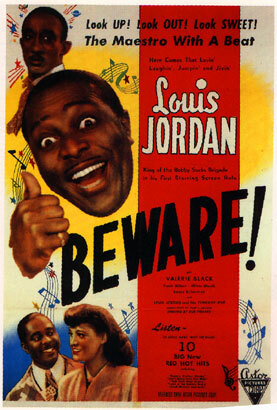 Louis Jordan's first starring role. 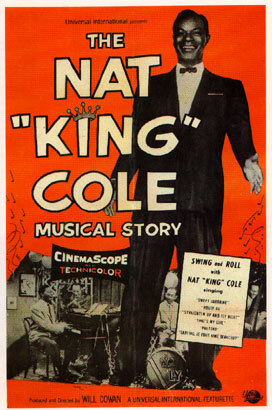 He made various musical films during the forties at the height of the jump-jive craze. A very good film about Bix Biederbeck. Great sound track of numerous Bix classics transcribed by Bob Wilber. Cornet played by Tom Pletcher with Wilber playing C melody sax. With Armstrong and Ellington. Below, the Ellington Band plays "Things Ain't What They Used To Be"
Comic duo Amos and Andy film featuring the Duke Ellington Band with Carny, Hodges, Bigard etc. 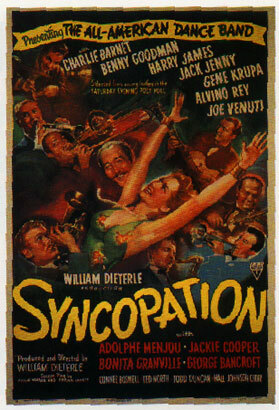 ( Note that the 'black' cast in this film had whites that were' blacked' up and even' lighter skin' members of the Ellington band such as Juan Tizol and Bigard wore dark make up) This film featured Bing Crosby in his third film appearance. Apart from the Dorsey Brothers, one the rare screen appearances of Art Tatum blowing everybody off the screen with his playing. 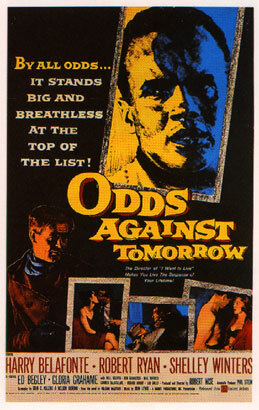 Great film with a great Johnny Mandel score. On screen in the opening club sequence are Gerry Mulligan, Art Farmer, Bud Shank, Frank Rosolino, Pete Jolly, Shelly Manne and Red Mitchell. Conti Candoli ghosts the trumpet for Tony Curtis when he sits in with the Red Norvo Quintet including Richie Kamuca on tenor sax . 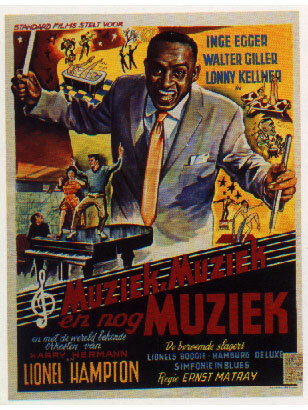 One of the numerous European films Louis Armstrong appeared in. 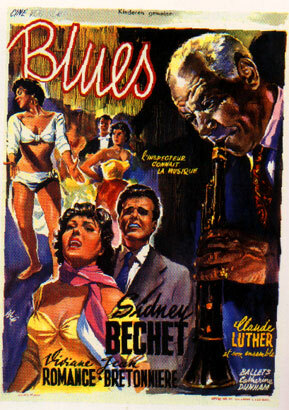 Sidney Bechet plays a lead role as well as the music. 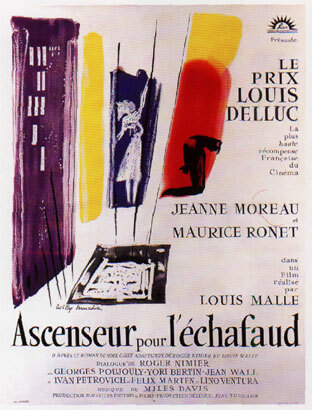 Louis Malle's debut feature, a classic thriller held wonderfully together by Miles Davis' improvised soundtrack. Featuring the great European tenor sax Barney Wilen and bassist Pierre Michelot who twenty years later was on the soundtrack, as well as appearing in Round Midnight. 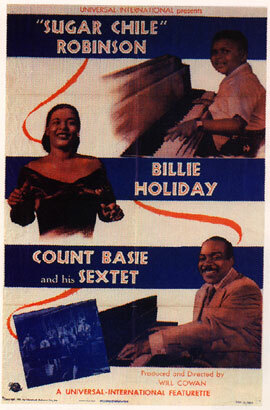 Score by Duke Ellington. Armstrong is featured on screen. Paul Gonsalves and Murray McEachern ghost on tenor and trombone for Paul Newman and Sidney Poitier. Below the band perform Ellington's "Mood Indigo"
Abbott and Costello comedy with wonderful scene on board a bus with Ella Fitzgerald in her first screen appearance singing "Ticket a Tasket"
No laughs in this Woody Allen film but extensive use of the classic Art Tatum / Ben Webster album. Another Hollywood injustice to Jack Kerouac. 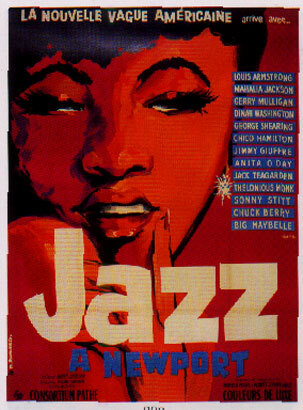 However it did feature Gerry Mulligan, Art Pepper, Art Farmer, Andre Previn (in jazz mode) and Carmen McRae on screen. Biography of Emmet Ray, legendary swing guitarist and second only to Django Reinhardt in greatness. Unfortunately a purely fictitious character brought wonderfully to life by Sean Penn. 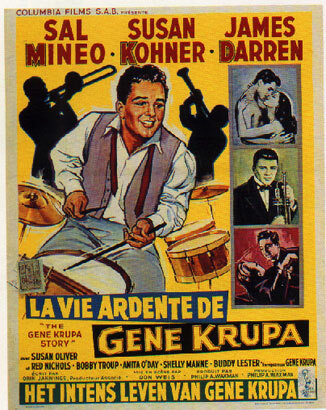 The soundtrack features Howard Alden and Buckey Pizzarelli on solo and rhythm guitar, respectively with Ken Peplowski on clarinet, going through their paces on numerous classic numbers from the thirties. Great film about New York s underbelly. 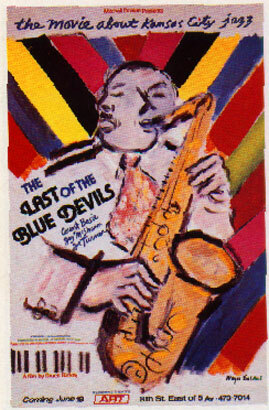 The sound track and the film features Chico Hamilton and his group with Jim Hall (gtr) ghosting for Martin Milner, the jazz musician being framed by Burt Lancaster. Conte Candoli (tpt) and Frank Rosolino (tbn) are briefly featured with Chico Hamilton. With Carson Smith, Paul Horn and Fred Katz.